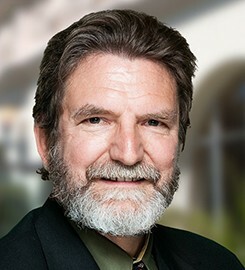 David Harnish, PhD, is ethnomusicologist, co-director of the Gamelan Ensemble, and Chair of the Music Department at USD, with former affiliations with Bowling Green State University, (professor, dean), Skidmore College and Colorado College (professor), and Semester at Sea (professor). He also serves as Academic Liaison to the Kyoto Prize Committee and has worked with renowned onnagata Tamasaburo Bando, postcolonial critic Gayatri Spivak, free jazz impresario Cecil Taylor, and foremost ballet choreographer John Neumeier. As a scholar, he has researched music in Asia, Africa, and the United States, and is particularly interested in religion, festival, hybridity, pedagogy, composition, popular culture, sustainability and politics in music. In support of research, he has received grants from Fulbright-Hayes, National Foundation, Freeman Foundation, National Endowment for the Humanities, Ohio Arts Council, United States-Indonesia Society, MidAmerican Center for Contemporary Music, and Partnerships for Community Action. As a musician, he has extensively performed Indonesian gamelan, North Indian music, Japanese music, Tejano conjunto music, Latin rock, and jazz, rock, blues, bluegrass, and country musics. His research draws upon religion, politics, popular culture, music sustainability, and composition and performance. Harnish is author of Bridges to the Ancestors: Music, Myth and Cultural Politics at an Indonesian Festival (University of Hawai‘i Press, 2006), co-writer/editor of Divine Inspirations: Music and Islam in Indonesia (Oxford University Press, 2011) and Between Harmony and Discrimination: Negotiating Interrelationships in Bali and Lombok (Brill Press 2014), and has published monographs, book chapters, encyclopedia entries, and 30 scholarly articles in major journals. He is a former consultant for the BBC, National Geographic, MTV-Fulbright Awards, Mid-Atlantic Arts Awards, and the Smithsonian Institute, and has recorded and/or performed Indonesian, jazz, Indian and Tejano musics with five different labels. Harnish is fascinated with music around the globe and teaches world music and ethnomusicology courses, Asian music courses, interdisciplinary Honors courses with a colleague in Ethnic Studies, and Balinese gamelan ensemble. He co-directs a summer course on music and religion in Bali. As a pedagogue, he synthesizes music, composers, performers, consumers and contextualization, and loves introducing the world of music to students. Submit changes to David Harnish's profile.